Find Acrylic Horseshoe Ring, Steel Horseshoe Ring, Titanium Horseshoe Ring on Industry Directory, Reliable Manufacturer/Supplier/Factory from China. Product categories of Horseshoe Ring & Twister Ring, we are specialized manufacturers from China, Acrylic Horseshoe Ring, Steel Horseshoe Ring suppliers/factory, wholesale high-quality products of Titanium Horseshoe Ring R & D and manufacturing, we have the perfect after-sales service and technical support. Look forward to your cooperation! The material is 316L stainless steel, or Acrylic/UV, or G23 titanium. We carry a vast selection of circular barbells in every gauge and size. 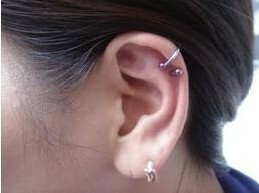 Circular barbells, also know as horseshoe barbells, can be used for pretty much any piercing depending on your piercing size. Our horseshoe barbells collection ranges from basic surgical steel to titanium in all gauges. We also carry a very unique line of semi-precious natural gemstones and crystals circular barbells. All our body jewelry barbells are crafted from the highest quality materials. Our steel Body Piercing Jewelry is made from 316L Surgical Grade Stainless Steel for your protection and for durability. Our Titanium Jewelry is non-allergenic Anodized 6AL4V-ELi Titanium and our gold jewelry is made with nickel-free, 14-karat gold. Our sterling body jewelry is 925 Sterling Silver and our Acrylic is dental grade. 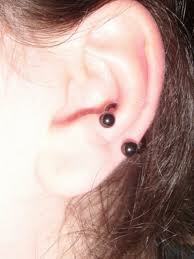 We only sell the highest quality body Piercing Jewelry for your protection, at the best prices you will find anywhere. Copyright © 2019 www.zelinpiercing.com All rights reserved.